Jessie lived in the Parma area all her life. She was a CNA and had worked in home healthcare, was a member of the First Baptist Church in Parma and enjoyed crochet, fishing, cooking with the kids, gardening, watching westerns, dancing and spending time with her kids and family. Jessie passed away at Southeast Health of Stoddard County in Dexter, Missouri on November 27, 2017, at the age of 60 years, 5 months and 7 days. She passed at her parent's home. She was married to Raymond Montoya, Jr. 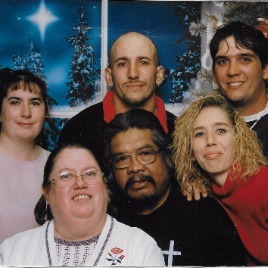 Surviving are her husband, Raymond Montoya, Jr. ; two sons, Christ Payne, Robert Payne; two daughters, Misty Payne; Rebecca Payne; her parents, Ray and Joyce Greene; eleven grandchildren; two brothers, Randy and Roger Greene; one sister, Kathy Kovacs; a nephew raised as a brother, Gerald Murray; a niece raised as a sister, Elizabeth Wood. Other relatives and friends also survived. She was preceded in death by two sisters, Carol and Nancy Greene. Healgrief has a memorial to share with you. https://healgrief.org/jessie-montoya/ We invite you to express condolences, share special memories and photos and light virtual candles to honor and celebrate the life of our loved one. We also invite you to share this with others who may want to be notified as well. You may do so by sharing the link or by clicking the “Share this Memorial” button from within the memorial itself.